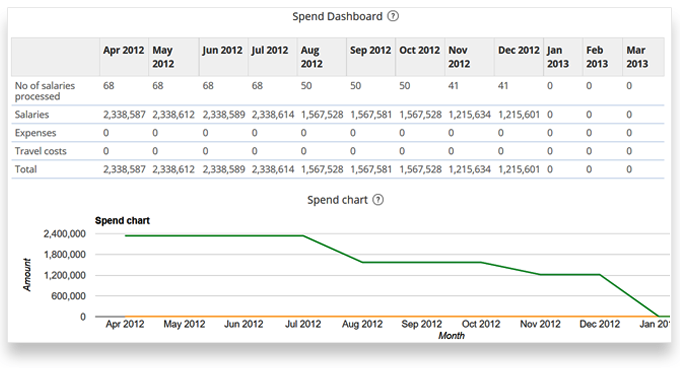 Reduce time spent in creating accounting reports. Effortlessly maintain & analyse all financial records. Avoid data entry errors and process payroll accurately, on time. Streamline compliance processes. Say goodbye to manual payroll & tax calculations. Empxtrack Payroll Software is an easy to use, scalable, and functionally rich SaaS based payroll solution designed to handle all aspects of payroll processing. Empxtrack payroll management software can be seamlessly integrated with the Human Resource Information System (HRIS), Leave, Attendance and Overtime, Travel and Expenses, and Loans and Advances modules, to prevent repetitive data entry. 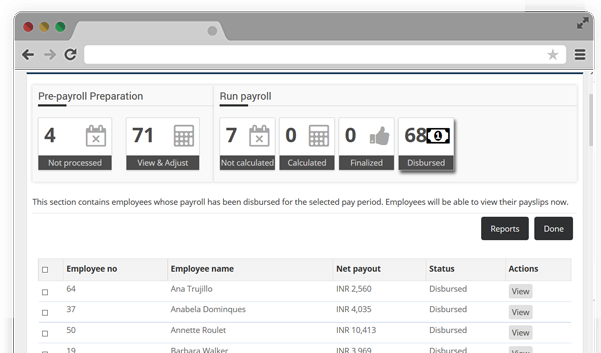 Payroll can support 100s of configurable fields and can map to your salary periods. Empxtrack Payroll management software takes into account all taxation rules of the country in which it is implemented. It captures employee investment declaration for tax benefits and deducts tax according to government laws. It also supports multiple salary structures for different salary grades and provides flexibility to modify the salary head amounts for employees in same grade. Considers taxation rules according to your country and provides all statutory reports. Supports a large number of configurable heads to map to your exact processes. Supports different types of salary processing rules, multiple currencies and different kind of employee types. Generates cost accounting reports, wage reports and management dashboards. Supports a multi-step payroll and a maker-checker functionality. Build your own reports and access multiple reports such as variation, bank report, payslips, deductions, payouts, accruals etc. 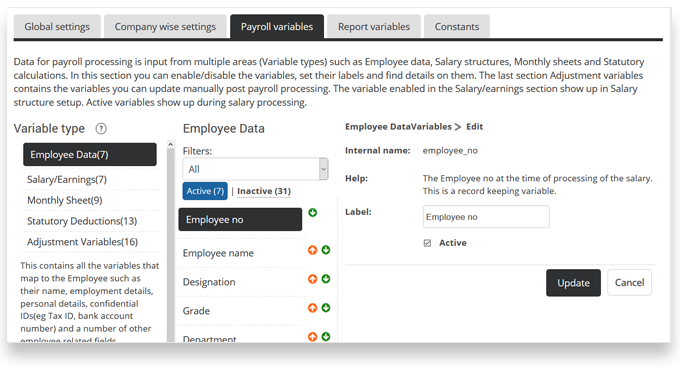 Import data from other payroll systems to support payslip views and analytics. Export data to other accounting systems through an intuitive API. User friendly software with online help, self-training tutorials and easy to use interface. Our teams are available 24 x 7. Why To Invest In Online Payroll Software? What is payroll and how payroll calculations are done?